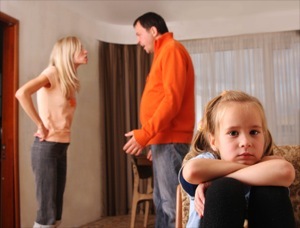 Recently, there have been many recent changes in the State of Florida regarding Custody and Visitation Rights. The Florida Legislature in an attempt to curb litigation regarding the issue Custody eliminated the designations of Custody and Visitation. The law now requires timesharing and Parenting Plans in all cases. Essentially, visitation as a right no longer exists. Timesharing requires that each parent take the children during the time designated in the Parenting Plan. They are required to do so. There is no longer a designation of custody, which presumed that one parent had more control over the children than the other. There is no standard visitation schedule and the Court does not presume that the non-residential parent is entitled to every other weekend and one or two days of visitation during the week as well as a alternating all major holidays. Following the change in the law, many Judges now believe that equal timesharing is the norm and that equal timesharing is presumed to be correct. Other Judges do not feel that this is an accurate interpretation of the Statute and make decisions on a case-by-case basis. Contrary to the intent of the Legislature to avoid litigation based upon the Custody and Visitation designations, the new law has in fact increased litigation. Many parents do not want to pay child support and the easiest way to avoid paying or to paying a much lower amount is based upon fighting for Equal Timesharing. Whereas, in the past this issue could be resolved through Mediation or Settlement negotiations, attorneys now pursue litigation with the promise of saving their clients large amounts of money now and in the future. Please contact me to discuss the new Timesharing and Parenting laws.